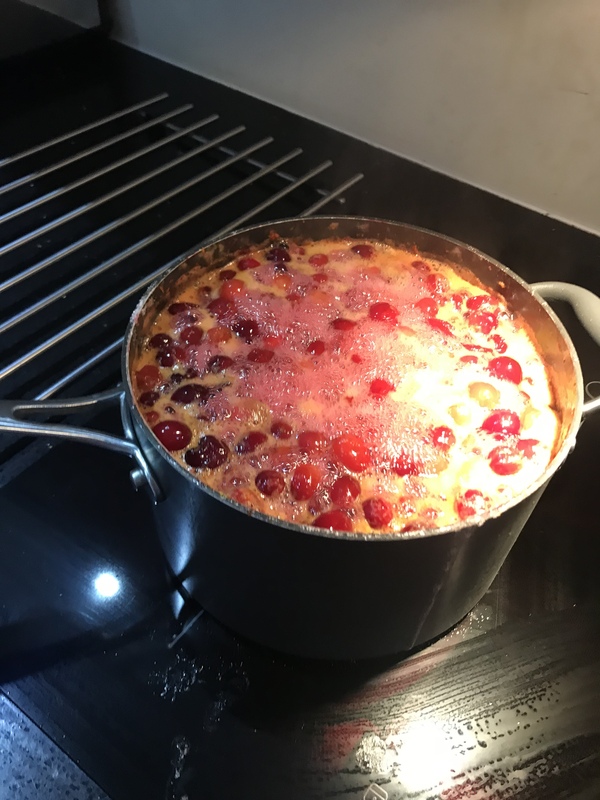 Ma has sent me through the recipe - turns out it’s her own creation! 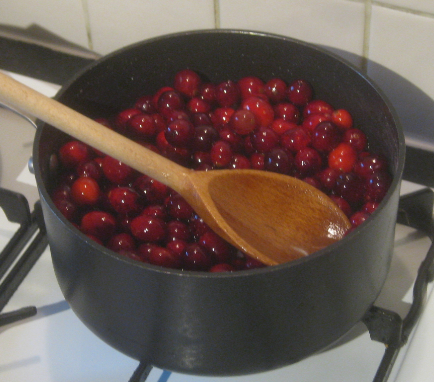 Stir the cranberries, sugar and water on a low heat until sugar is dissolved - keep stirring continuously! 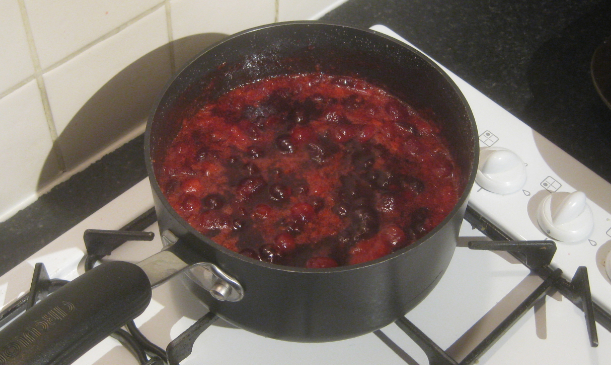 Bring to a simmer, and leave simmering uncovered for about an hour or so until the sauce has thickened. 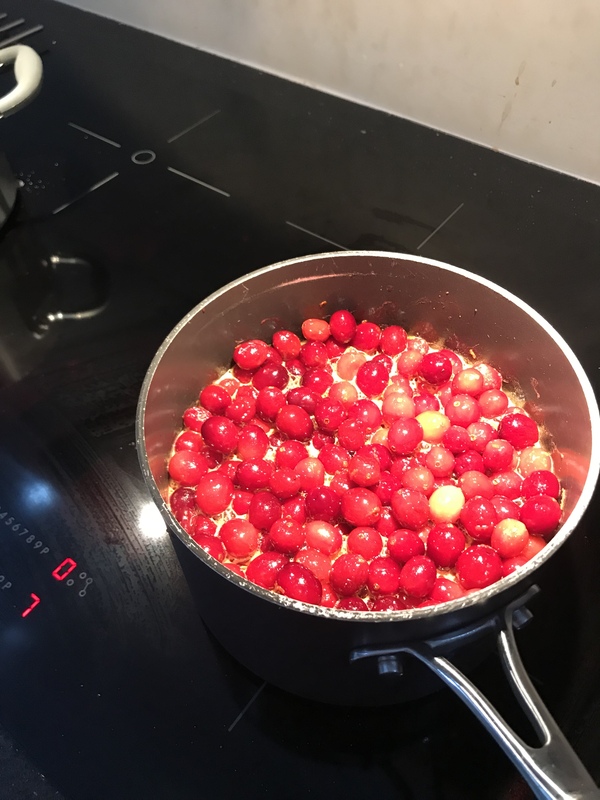 The cranberries will pop as they cook! Leave to cool for about 15 mins then stir in 2-3tbsp of Port. Pop it in a jar, place wax discs on top and seal with the lid - it’ll last for years! P.S We like to stir a big dollop through bacon and brie risotto - it’s lush! This is AMAZING @laura​:tada: !! Thanks so much . 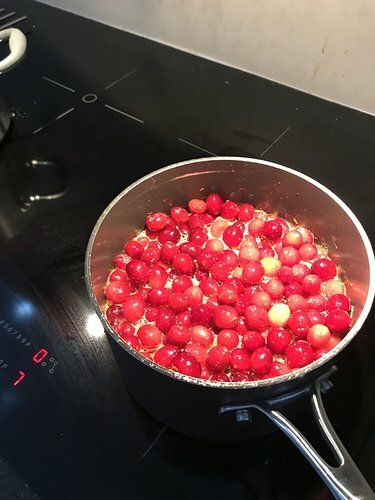 Is this fresh cranberries ?? I’ve got dried in the cupboard but I’m assuming this should be made with fresh ones ? Hello! Sorry I missed this - yes, fresh cranberries! Should be in the shops around now-ish… I think Ma made the 2018 ‘vintage’ a few weeks ago so you should be able to find them! Sounds like a great idea to just HAVE to open a bottle of Port for the couple of spoons to add into the sauce, what will I do with the rest of the bottle? I may have tripled the recipe @laura … also added some orange zest and juice … now to sit and wait … …! Think I’ll have a drink . Looks amazing!! Ooh let me know how the orange zest goes - how much did you use? Might try that myself! Might just check the Port. To, uh, make sure it’s working okay, before I put it in. Yeah. I think it would be rude not to . Filled three jars to the brim! Tastes delicious, thanks @laura’s mum!